If you have not signed up already please click HERE! This is it! Our final workshop from the Workshops in the 6ix entrepreneurial series! 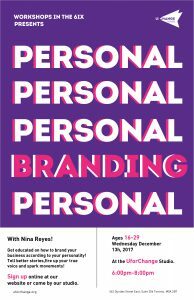 Do you want to get better on personalizing your brand? This is the workshop for you! The public is welcome, ages 16-29! 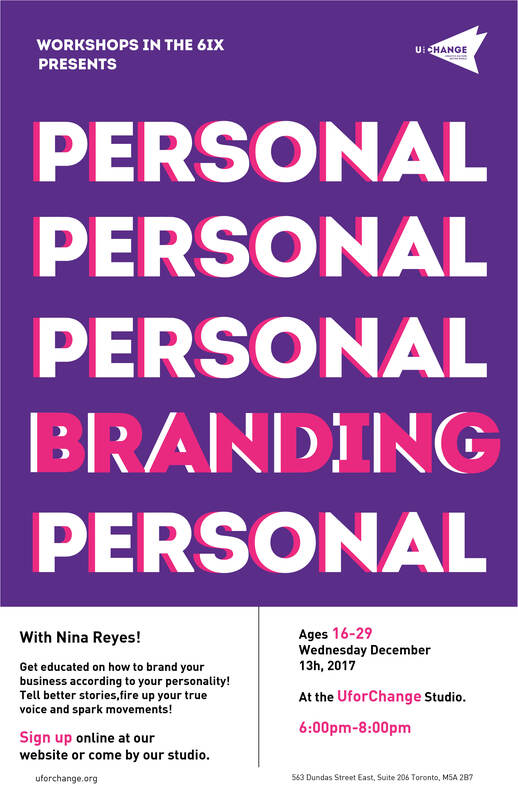 Come join us at the UforChange Studio with Nina Reyes from 6pm-8pm on Wednesday, December 13th!